This Tortellini Chicken Salad is perfect any time of year. The chicken gets marinated in a delicious balsamic sauce and then grilled or pan seared. The warm tortellini wilt the lettuce just slightly and toasted pine nuts add a delicious crunch. Top it all off with salty feta cheese. This Tortellini Chicken Salad is a salad to serve to guests. It’s so flavorful, filling and delicious. And it’s one of the most popular dishes on my website. 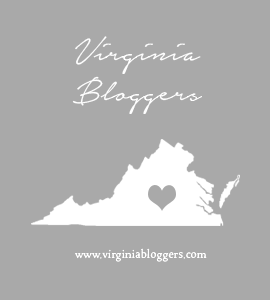 I used to work and live in Birmingham, Alabama back before married life moved me to Virginia. One of our favorite lunch spots at the office was Frank Stitt’s Bottega Cafe. This salad, which no longer appears on the menu (at least since I’ve been back there), was one of my most favorite things to get there. After I moved I craved it so much I decided to try to recreate it from memory. It wasn’t until a couple of years later I realized Frank Stitt’s recipe was in his cookbook Bottega Favorita. I realized then my creation and it’s inspiration were pretty different. Tortellini Chicken Salad is still on heavy rotation in my house and I love saving leftovers for lunch the next day, if any leftovers ever make it to the fridge. I like to mix the marinade in the morning then seal it in a plastic bag and put it in the fridge. It’s really easy to pull together during a weeknight. I drizzle the whole thing with a healthy dose of balsamic glaze. You can find it by the balsamic vinegar in most major grocery stores. Place the chicken breasts in a large resealable plastic bag with all of the marinade ingredients. Marinate for at least an hour or up to 24 hours. Grill the chicken on a grill or in a grill pan. It takes about five minutes per side for the chicken to cook depending on how thick your breasts are. Let them rest for five minutes and then slice into thin slices. Place the lettuce on a large serving platter. 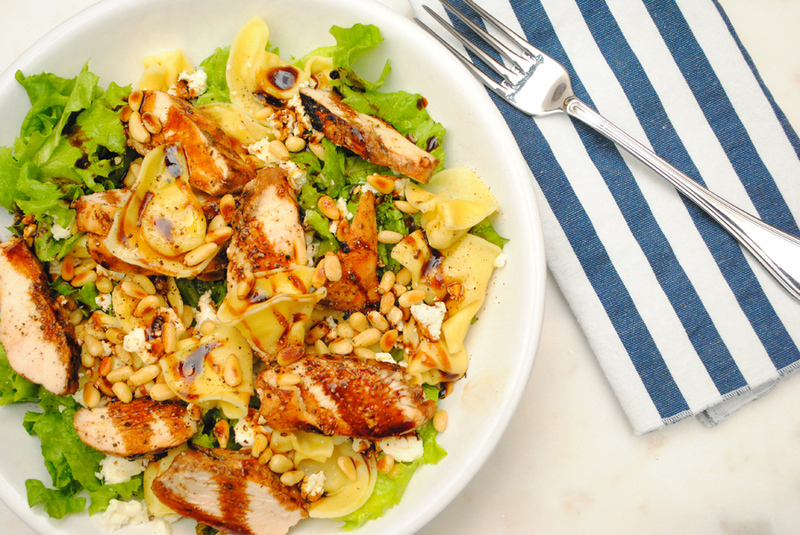 Top it with the warm tortellini, feta cheese, pine nuts, and chicken breast slices. Drizzle the balsamic glaze and olive oil over the top and sprinkle with salt and pepper. Is it wrong that I want this for breakfast? YUM! and Pinned! Haha! Not at all Susan! Thanks for the Pin!